This final PoC version unveils the previously hidden code, while adding some convenience functionality. I also revisited the code one more time; which is now more object-oriented (with some specific behaviors moved to the appropriate object). I hope readability and understanding have enhanced. The solution is based on the fact that any inner triangle of a given (parent) equilateral triangle can be single or composed, pointed upwards or downwards. These possibilities is represented by the InnerTriangleTypes enumeration, and lead us to the four concrete classes shown at the bottom of the diagram. 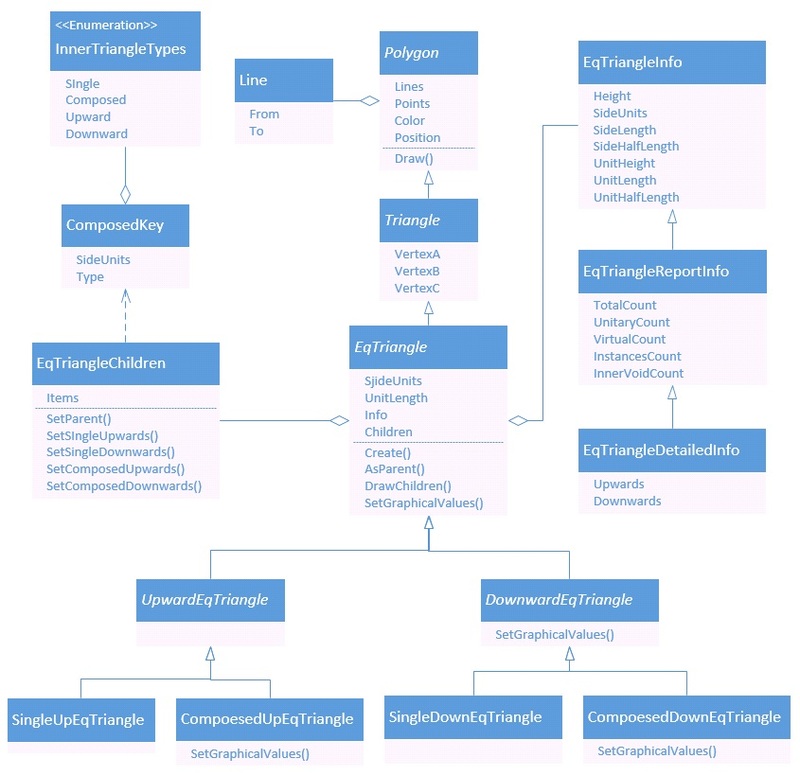 The EqTriangle abstract class contains a Create static (factory) method, which is used to instantiate and get access to equilateral triangle objects. All calculations are performed at creation time. 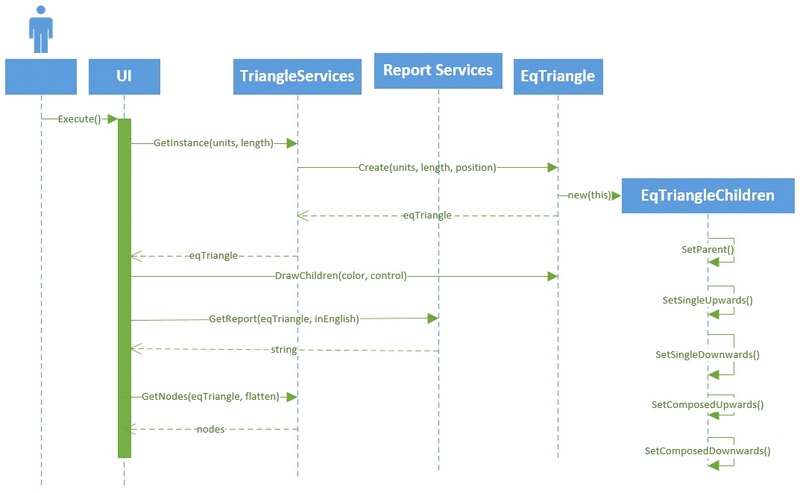 The EqTriangle class has a Info property that is consumed by the ReportServices to generate a string that lists the object’s stats and is displayed in the main screen’s text box. And the Children property of the EqTriangle class encapsulates the inner objects creation logic. It holds an Items dictionary, keyed by both the side length of the inner triangle and its type (as described above). 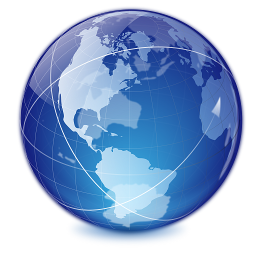 A convenience CompositeKey struct [value object] is used to label the Items dictionary keys. And each dictionary value holds a list of (IEnumerable) EqTriangles of its corresponding key value. Figure 4. 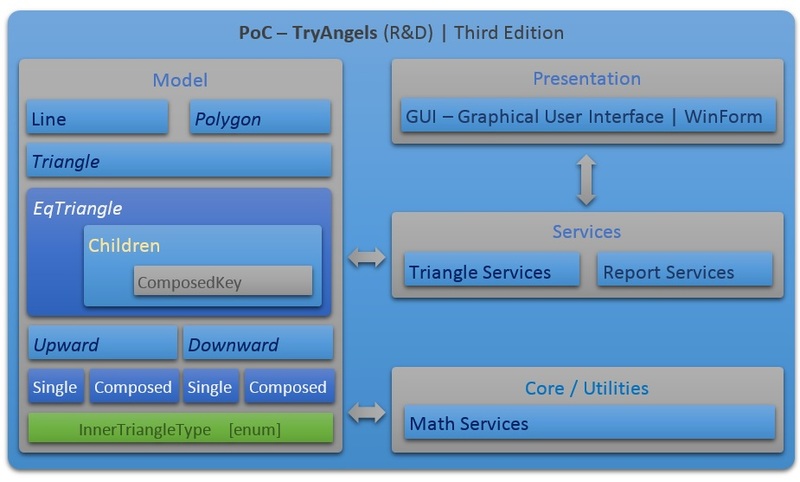 TryAngels 0.0.3.0 – Execute Sequence Diagram. As a final note, its worthy to mention that this model could be extended to provide rotation functionality. In this case, we would recommend a two-step flexible approach. 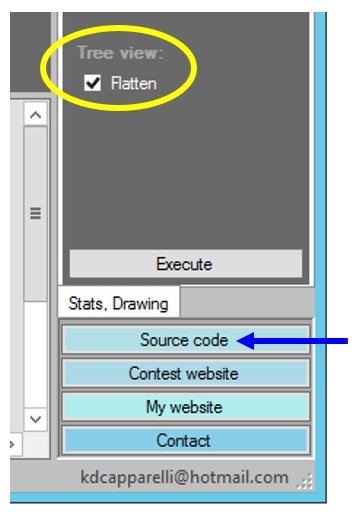 First allow the user to choose any given values between the [float] range of 0 and 360; perhaps on a RotatableEqTriangle class. Then derive from this class to set and freeze some values in advance, in order to represent specific cardinal points, such as North (0), South (180), Lest (90), West (270), etc.